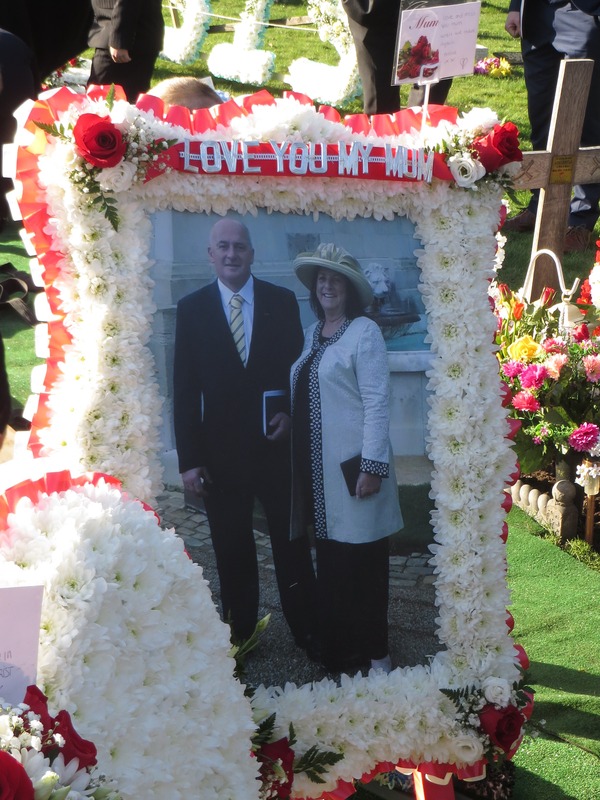 SGTCF Obituary to Ann Wilson MBE – R.I.P. 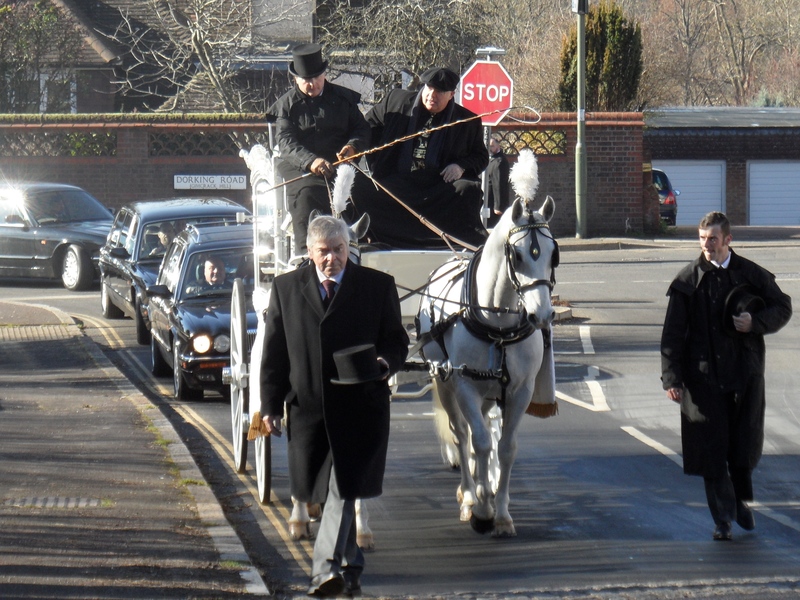 Hundreds turned out for the funeral of Romany Gypsy Ann Wilson at St. Mary & St. Nicholas, Leatherhead, on Thursday 14th February. 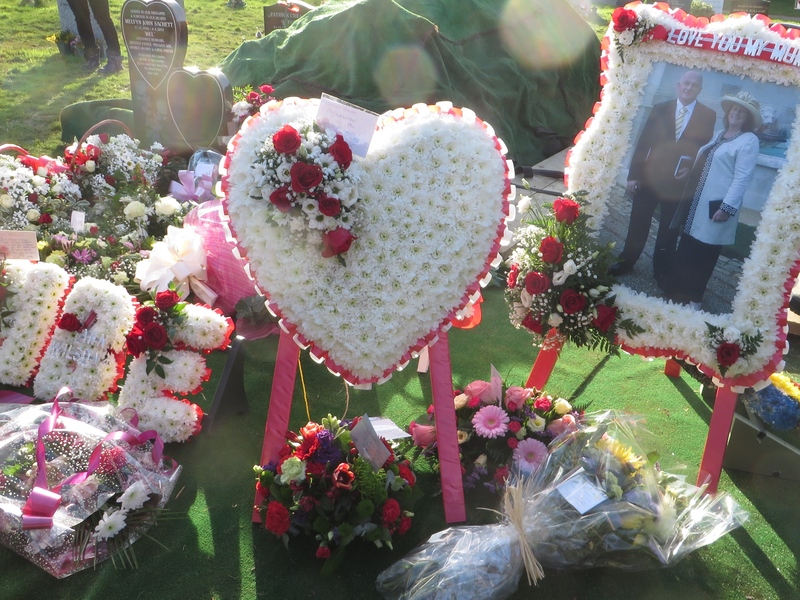 People from across Surrey came together to mourn the passing of a gentle, wise, and dynamic woman who had worked tirelessly to being about a better life for Gypsy and gaujo in her home county. Tribute after tribute was piled up in the flowers which stood around her peaceful grave in the little cemetery that lies beneath Box Hill. Many of these remembered the day in 2014 when Ann’s achievements were recognised at the highest level and she was awarded an MBE (Member of the British Empire) by the Queen at Windsor Castle, for services to the Gypsy and Traveller community. That was the end of a long journey which began on 24th June 1959, when Ann was born to Henry Smith and his wife Jean. Cousin twice removed to the Gypsy Council leader Jasper Smith, and third cousin of the singer Ambrose Cooper, Ann came of a talented breed. She grew up with her sisters Carol and Mary at Effingham, and began her education in the village school. Ann loved horses from a young age and would gallop without a care on her black cob Solo. The same energy that impelled her as a wild child to race across Effingham Common sustained her later when as a grown woman she fought against the prejudice snapping at the heels of her people. Teaming up with her lifetime friend Hilda Brazil, she founded the Surrey Gypsy Traveller Communities Forum in 1996. 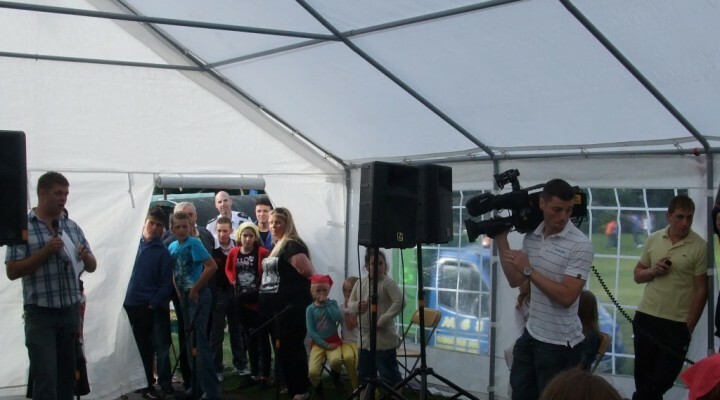 The Forum grew until it was the recognised point of contact with all Traveller groups with social services in the county. Ann went on to teach Gypsy history and culture to the NHS, Fire Service, Police, councillors and charities throughout Surrey. She regularly attended conferences across England, particularly London, where she visited the Houses of Parliament to advise Government Ministers who knew nothing of the community and had no idea of the impact their legislation was having on the Gypsy way of life. At home, she supported adult literacy for those wanting to improve their reading and writing, assisted young people needing support with the driving test, made accurate assessments of community numbers for local authorities, and set up projects for health and well-being. She worked on Gypsy Skills, one of the most successful projects of its day for educating children who struggled with the unfamiliar culture of school. How did the quicksilver, brazen girl become such a steady worker for other people’s good? Ann put it down to her experience of being born again, in 1985 at the Coign church in Woking. ‘At first I thought my friends had set me up – because everything the preacher said, it spoke directly to me. But when I went and faced him, he didn’t know who I was at all. So I realised something was happening that I hadn’t reckoned for. And I gave my life to the Lord Jesus’. Ann had married Michael Wilson in 1976, a year after they met at the Derby. They were stopping across the way from Little Egypt, the ancient meadows down by the River Mole. Not long after, Michael came to God, and his family after him, and then everyone on the site, until Little Egypt became Salvation Place. 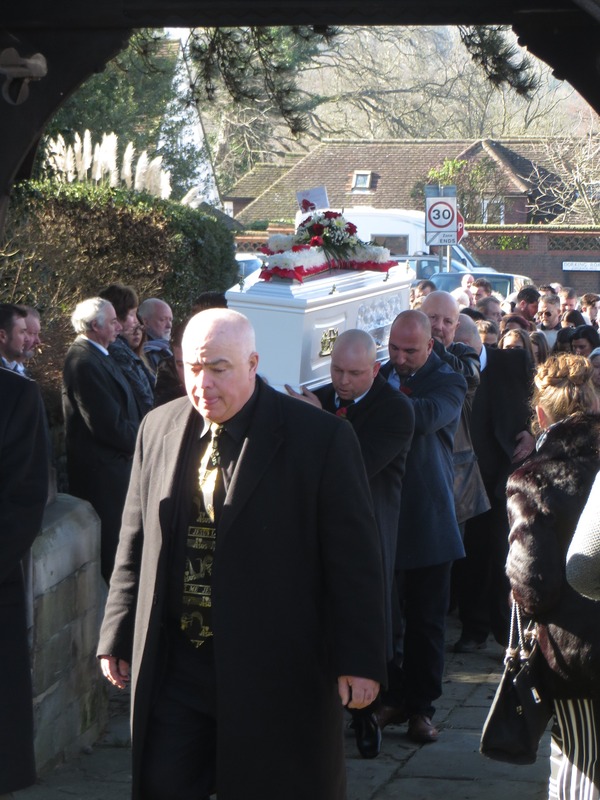 The church built by their united efforts is still at the heart of the community, and hosted a gathering for the many mourners who came to Ann’s funeral. Her two girls, Jean and Annie, were the centre of Ann’s life, followed from 2002 onwards by the grandchildren: Shakiah, Cheyanne, TJ, Jacob-Henry and Jack. She loved them all, and spoiled them rotten at Christmas time. In return they listened to stories of her travels to France, Germany, Greece, Romania and beyond – not on holiday, but as someone furthering the rights of her community. Closer to home, she helped Gypsies Got Talent contests at Bourne Hall in Ewell and at the Derby. It was at one of these events she spotted the talent of a young Scarlett Lee, well before Simon Cowell and his X Factor caught up with the news. Above all else, Ann was proud about who she was, always fighting for Gypsies to be recognised fairly and be treated equally. A great heart has been taken from us. Soov te mishto, nogo Romani pen. “A People Uncounted” the untold story of ‘Perajmos’ the Roma Holocaust will be shown at a variety of venues in Surrey with free entry (18+ only). Subtitles will be read out LOUD. The award winning film ‘A People Uncounted’ will be shown on and around Holocaust Memorial Day (dates to be advised for January 2019) in recognition of what was suffered by one of Surrey’s largest ethnic minorities, and its legacy today. This full-length (99 mins) feature film has been nominated for/won five awards internationally since it was made in 2012. Its UK premiere was held at the headquarters of Amnesty International in 2015. Members of Surrey Gypsy Traveller Communities Forum attended this, and the Forum has since bought the right to show the film to public audiences free of charge in the UK. ‘A People Uncounted’ tells the story of the Roma, commonly referred to as Gypsies – people who have been both romanticised and vilified in popular culture. The Roma have endured centuries of intolerance and persecution in Europe, most notably the Holocaust genocide where an estimated 500,000 were murdered. This film documents their culturally rich yet often difficult lives, and demonstrates how their present state has been deeply shaped by the tragedies of the past. Filmed in 11 countries and featuring dozens of Roma – including Holocaust survivors, historians, activists and musicians – ‘A People Uncounted’ brings the Romany history to life through the rich interplay of their poetry, music, and compelling first-hand accounts. As ethnic intolerance flares up in Europe, this film sheds light on this unique culture while presenting the Roma tale as emblematic of the world’s legacy of racism and genocide. Closer to home, this film presents a powerful and thought-provoking challenge to what the Commission for Racial Equality has described as ‘The last acceptable form of racism’ in our own country. 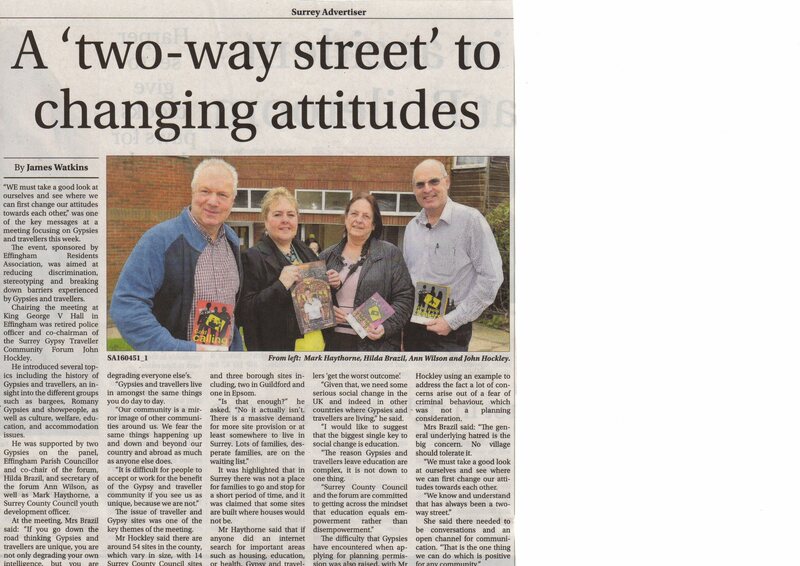 This is particularly significant in Surrey, which has one of the largest Romany Gypsy and Traveller populations in the UK. Click on link or put “Brighter Futures Gypsy” in YouTube search to find out more from youngsters living in Surrey. 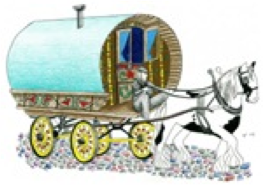 Copyright © 2019 Surrey Gypsy Traveller Communities Forum - Providing a voice for the Gypsy Roma Traveller people and building bridges with the wider community.